NO MATTER how long you own or live with a modern car, chances are you don't know all its little tricks and features, let alone use them regularly. Having tested the latest offerings from the likes of Mercedes-Benz and BMW - and thumbed through their almost encyclopaedic owner's manuals - I'm left amazed and perplexed in equal measure. Do we really need all this complex and pampering stuff? Our long-term test Hyundai ix35 is no S-Class Merc when it comes to features and toys, of course, and it's not as if I haven't familiarised myself with its full specification. It's simply that when stopping to think about it, I've either forgotten certain features or really don't need them. For example, I was stuck in traffic this week and playing with the entertainment system when I remembered the ix35 had sat nav. I'm the first to insist well-specified cars should have navigation as standard, but with most of my trips made on familiar roads, I've had very little call to use it. 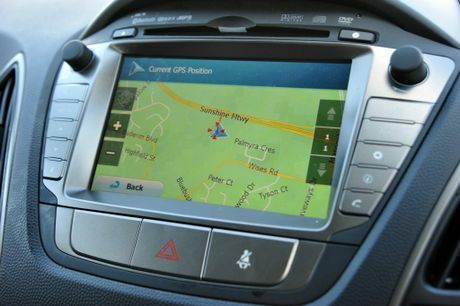 If I'd have forked out $2000 to have navigation fitted as an option, I'd probably be regretting it. The ix35 in its Highlander spec comes with heated seats - I've only used the passenger one to annoy the wife when she tried to fall asleep on a journey - while the retractable side mirrors have been another unused extra. They're great for the inner city, but living on the Sunshine Coast, if I could swap them for something like an air-conditioned glove box, I would. While thinking along these lines, I questioned wether I'd used the all-wheel drive ix35 off the bitumen enough. Buyers opt for SUVs with off-road capabilities for different reasons. Some definitely need them if they live or drive each day on unsealed roads. Some will be regularly taken to the beach or bush for sporting pursuits. But many are bought simply because it's nice to know "If I want to, I can go". But many people don't. I made a point of tackling less civilised roads this week to make up for this, including some dusty, rutted, damaged dirt roads, and even a grassy, muddy trail better suited to "proper" 4x4s. On the latter, I soon realised the ix35 is not in its element here. It never got stuck during the brief drive, but I was always wary of it bottoming out - there's not the ground clearance that you'll get with a larger 4x4. Yet on the dirt road it was superb. The first-generation ix35 I tested proved itself a decent steer off the bitumen, and the generation II is equally satisfying. The 18-inch tyres do mean a fair bit of road noise on such surfaces, but the control and sure-footedness of the chassis again emphasised the ix35's all-rounder abilities. 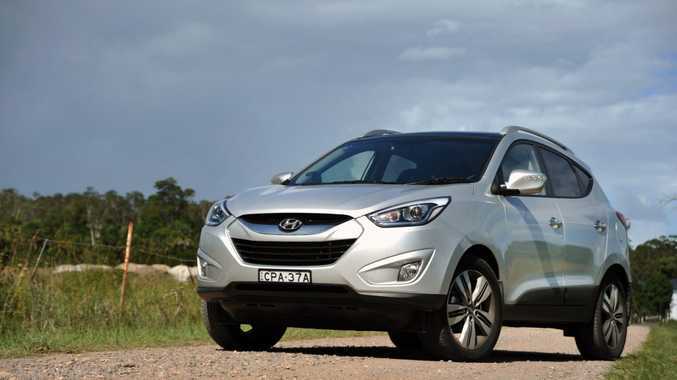 Hyundai's winning small SUV has over 25% of small SUV sales in 2014 so far, indicating that Australia's buying public are as smitten with the things as I am.